Home > EPL > Featured post > latest news > manchester united > news > Opinion > Opinion: Are top players avoiding Manchester United because of Van Gaal? 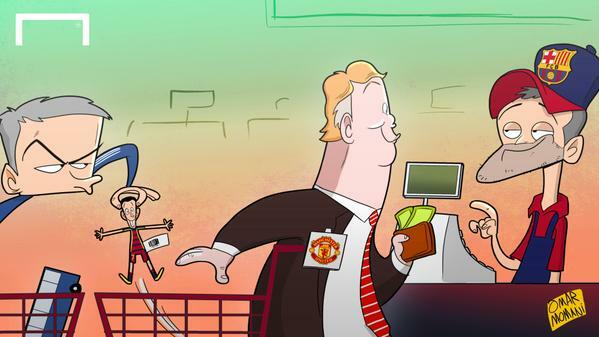 Opinion: Are top players avoiding Manchester United because of Van Gaal? Social media networks have been buzzing since news broke that Pedro Rodriguez wouldn't be signing for Manchester United after all, worst still, he has completed his signing with the English champions. A bad news for Red Devils fans who have savoured a Depay-Rooney-Pedro strike force, like that was not enough, shivers went sliding spines at Old Trafford earlier today when Manchester City announced the signing of Argentine stalwart Nicolas Otamendi. The list of players that were linked to Carrington for medicals but either lost their way or lost interest in the adventure is endless, Edison Cavani, Thomas Muller, Harry Kane, Robert Lewandowski, Sergio Ramos and more, question is, what are these players afraid of at Manchester United? Pedro may have considered the treatment being dished out to Victor Valdez, David DeGea and Ander Herrera as pointers while the rest of the lot will have to explain why the strong aversions. Something about LVG and Manchester United is chasing these bunch, the story of Angel DiMaria is not helping matters, how long will this trend continue? Fans will take solace in the quartet signings that followed the Depay addition, but they must be honest about the heartbreaks that those failed rumors brought.